Last year, Capcom made changes to their official Street Fighter V competition, the Capcom Pro Tour, that hurt the qualifying chances of a very specific sector of the fighting game community: those who live outside competitive hubs like the United States and Japan. The adjusted points system impacted players who lacked the means to travel to major tournaments in foreign countries. The tour’s Latin America region was hit particularly hard thanks to an almost complete lack of premier events, but new details released last week for the 2019 Capcom Pro Tour show that the organizers seem to be moving towards rectifying the circuit’s glaring balancing issues. While it’s no longer the only game in town, the Capcom Pro Tour remains the biggest of the developer-backed competitions in the fighting game community. Starting in 2014, Capcom has spread qualifying events across the globe, giving players worldwide the opportunity to earn a spot in the year-end Capcom Cup. It wasn’t perfect (nothing is), but it also didn’t feel like it was actively working against anyone who was willing to put in the work. That all changed when, in 2018, the tour dramatically altered its point structure. A greater emphasis was placed on the major, Premier events while regional- and local-level Ranking events took a back seat. Where before a player could earn the same points by winning a Premier event as they could by winning four Ranking events, it now took twice as many, thanks to the doubling of the former’s points and a slight decrease of the latter’s. This change only helped accentuate the failings of the qualifying structure that already existed. Players in Latin America, who had been routinely shafted on the amount of Premier events their region received every year, no longer had an easy way to supplement with Ranking events alone. For many players, traveling to another country, even those as close as Brazil and the United States, was something that several said they simply couldn’t manage. And yet theirs was the same region that had produced the previous year’s Capcom Cup champion, a surprise upstart from the Dominican Republic named Saul “MenaRD” Mena. With the new rules, even qualifying for the Capcom Cup became much harder. When these details about the different points system were first announced in early 2018, many players voiced their concerns about the changes on social media, but Capcom made no public statement about why these adjustments were made at the time, nor did the company respond to Kotaku’s request for clarification. By the end of last year, only two players from Latin America had earned their way into Capcom Cup: MenaRD’s teammate and training partner Cristhoper “Caba” Rodriguez and Gonzalo “Pikoro” Buleje of Peru. Meanwhile, dozens of competitors from the North America and Asia regions were able to qualify. 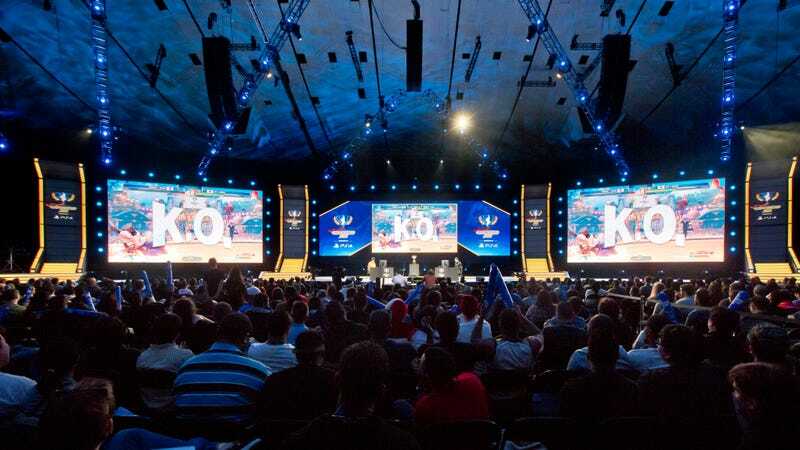 Román, whose annual First Attack tournament will be the host of the Capcom Pro Tour’s Latin America regional finals this year, told Kotaku that he sees great promise in the recent changes made to the competition for 2019. While the ability to attend Premier events will still go a long way towards qualifying for Capcom Cup, the new point spread for Ranking events means the ratio hews closer to the 2017 standard. This is good because, much like previous years, the Latin America region has been limited to only two Premier events compared to five in North America, four in Asia, and four in Europe. In addition to Premier and Ranking events, this year’s Capcom Pro Tour will expand to include more events at an even higher tier that was previously only occupied by the Evolution Championship Series, which is the largest fighting game event of the year. This tier will now also include the Japan Premier in September and the North America regional finals in November. “Super Premiers,” as Capcom has taken to calling these events, will feature greater opportunities to earn money and qualifying points. Where winning a Premier event will earn a player 700 points towards a spot at Capcom Cup, for example, Super Premier events reward a whopping 1,000. But with only three Super Premiers on the schedule, two of which are located in the United States, this upper tier of events introduces even more disparity into the Capcom Pro Tour qualifying process. No details were given as to why this change was made, and requests for comment have yet to be returned. Competing on the Capcom Pro Tour was once a way for Street Fighter players to turn their love for fighting games into a living, but it’s become harder and harder for those outside of traditional competitive hubs to keep up in the rankings. Unfortunately, this has nothing to do with skill level, but rather is due to the lack of opportunities they are afforded. Capcom Cup 2017 champion MenaRD showed that fighting game talent isn’t limited to the United States and Japan but spread across the globe. It’s time for these massive circuits to match the fighting game community’s egalitarian ethos by catering to every world warrior rather than the few already situated at the top. 2019’s changes are a good start, but there’s still a lot more that could be done to make qualifications more achievable for competitors around the world.